Full Spectrum Learning (FSL) is St. Norbert College’s attempt to embrace and encourage diverse teaching and learning practices that elevate student learning. Because we at St. Norbert aspire to cultivate in students a love of lifelong learning inspired by excellent teaching, it is of vital importance that we come together in community to explore the ever-changing breadth of teaching and learning modalities. 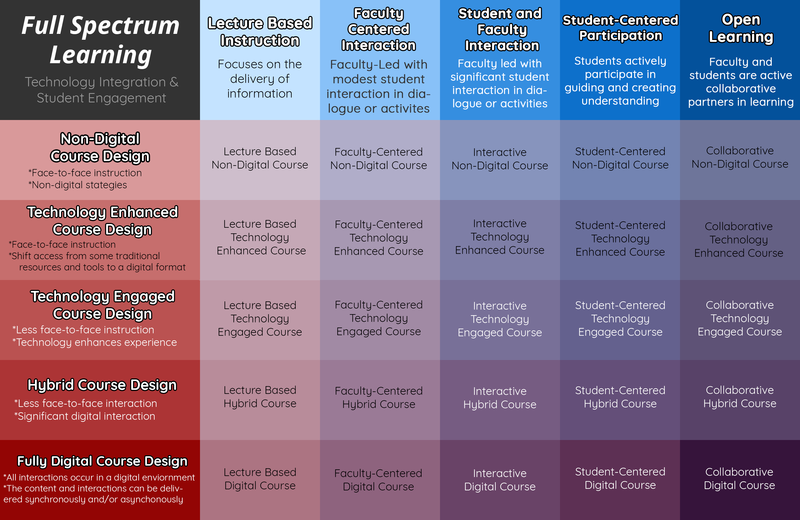 Explore the Full Spectrum Learning framework in an interactive space! Learn more about each class, hear from the professor, and a student perspective. Discover the different opportunities available through Full Spectrum Learning.